Reverb and Delay certainly have earned their rightful place in the guitarist's toolbox. These two effects are extremely common and very easy to incorporate into almost any guitar rig. Delay, also a time based effect, is similar to reverb but more "manufactured". Manufactured, meaning that the repeats of the original sound are more consistent. Most delay pedals allow you to precisely dial in the time of the delay (length of time before the original sound is repeated), decay/regeneration of the delay (length of time before the original signal decays to inaudible), and a volume or "mix" knob which determines the volume of the repeats compared to the original. 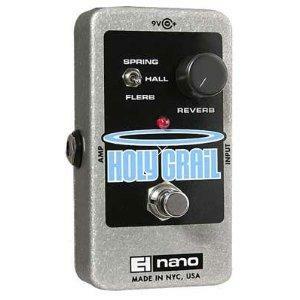 One might ask, can you have delay and reverb at the same time? Absolutely. See the "Signal Chain" section on the Home Page.